After 8 years since the inauguration of the slovakian plant of the Vicente Torns Group, an Open Doors day was organized on September 17th 2015 in its facilities. 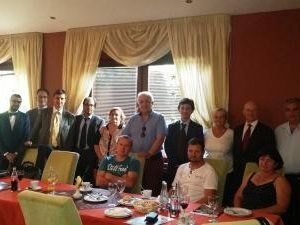 The local authorities and the Ambassador of Spain in Slovakia were present. The visitors were able to see the recently installed CTC machine, which is the second CTC machine in this plant.